Huge Savings Item! Save 17% on the Valor Fitness EH-36 Ankle Wrist Weights Set, 2-3-Pound by Valor Fitness at Cardio Fitness Plus. MPN: EH-36. Hurry! Limited time offer. Offer valid only while supplies last. 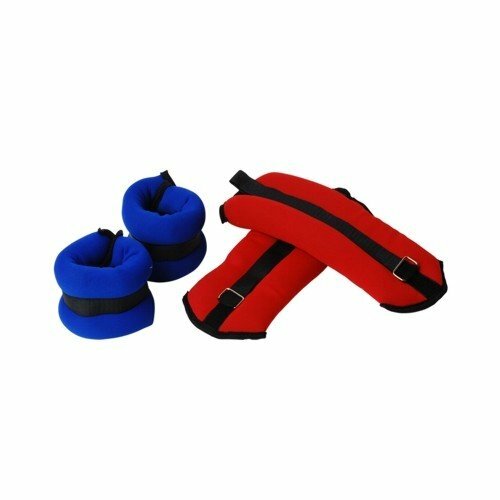 EH-36 Features: Set includes 2 pair of Ankle/Wrist Weights. 2lb pair Blue & 3lb pair Red. 10lbs total. Soft Elastic Neoprene Shell. Iron Sand Fill. EH-36 Features: Set includes 2 pair of Ankle/Wrist Weights. 2lb pair Blue & 3lb pair Red. 10lbs total. Soft Elastic Neoprene Shell. Iron Sand Fill. Polyester Velcro Straps. Nylon Piping Trip. Chrome Steel Buckle.